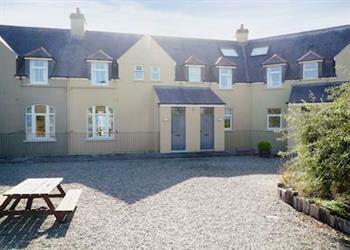 Brook Cottage in Clonakilty, County Cork sleeps 9 people. 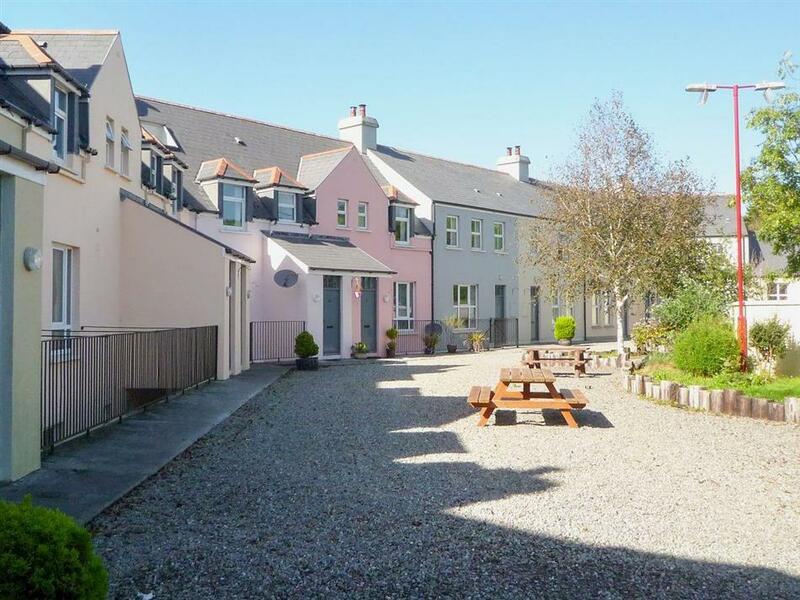 Brook Cottage in County Cork is three-storey, terraced, house which lies within an attractive holiday village of 20 houses, just 2 miles from the town of Clonakilty in West Cork. It is ideal for larger family groups or a group of friends who wish to explore this beautiful area on the Wild Atlantic Way. On-site facilities include a tennis court and football pitch, while indoors there is a welcoming wood burner and a light-filled living area. Clonakilty is an award-winning town that offers the holidaymaker a great choice of cafés, restaurants, pubs and shops. Throughout the town you will find the produce of a range of local artisan food producers, and art and craft works that are inspired by this wonderful region. There is a cinema, two nine-hole golf courses within a short distance and a model railway village. The award-winning beach at Inchydoney is 2 miles and is just one of a number of fantastic sandy beaches along this stretch of coastline. The picturesque village of Courtmacsherry is 10 miles and offers sea angling, water sports and is the starting point for the Seven Heads Walk. Day trip options are numerous, from the historic winding streets of Kinsale, Cork city and Blarney Castle to the unspoilt Mizen, Sheep’s Head and Beara Peninsulas. Cork airport is approximately a 45 minute drive away. The beach is 2 miles from Brook Cottage in County Cork. With the shop 1¼ miles, and the pub & restaurant 2 miles. Brook Cottage in County Cork has 1 step to entrance: With laminate and tiled floors throughout. Living/dining room: With wood burner, 28’’ Freeview TV, DVD player and CD player. Electric underfloor central heating, electricity, bed linen, towels and Wi-Fi included. Initial logs for wood burner included. Travel cot and highchair. Shared landscaped grounds with sitting-out area, garden furniture and barbecue. Shared tennis court, football pitch and playground. Private parking for 2 cars. No smoking. Please note: There are 3 steps from the car park. The property has a natural water supply from a borehole and there is a fenced stream in the grounds, 20 yards away. Holidays at Brook Cottage run from Monday to Monday. For a better idea of where Brook Cottage is, you can see Brook Cottage on the map below. Do you want to holiday near Brook Cottage (W32291), you can see other cottages within 25 miles of Brook Cottage; have a look to find your perfect holiday location.